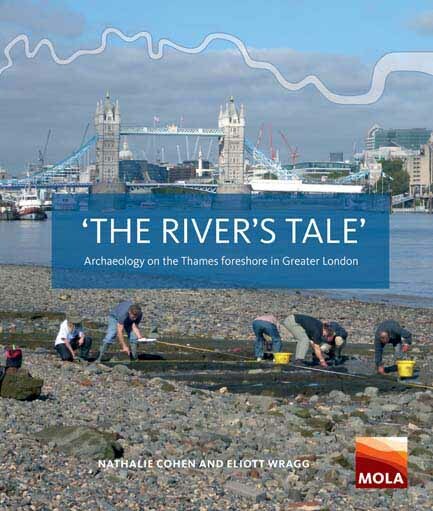 Join the Thames Discovery Programme for a guided foreshore walk at Isleworth and learn more about the fascinating and unique archaeology and history of the River Thames. Find out more about previous investigations on the site and hear all about the most exciting discoveries to date including a WWI submarine chaser. If the tide is low enough we might even be lucky enough to see a 1000 year old fish trap! This walk is part of the Totally Thames festival, an annual celebration of the River Thames. Thanks to funding from City Bridge Trust, this event is free for Londoners aged over 75. Please meet in the car park of the Town Wharf pub on Swan Street at 10:30 am. Please note that the foreshore surface can be muddy and unstable, so sturdy footwear (boots or wellies) is recommended. In case of inclement weather, the walk may be postponed or cancelled - please contact the TDP team.